It was a last minute idea. 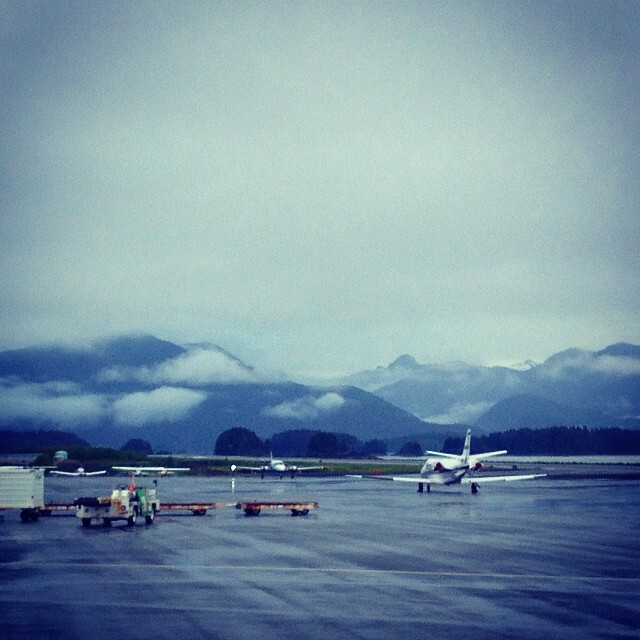 My little airline had just begun flying a brand new route from Seattle to Sitka. It was a popular trip, and all the more senior flight attendants had snatched up the coveted overnights in Southeast Alaska. I had been laying low for a few weeks. Working locals, spending evenings with my cat and my boyfriend, catching up on books, hiking in the beautiful Pacific Northwest. I felt centered. But as always, adventure had been calling my name for a while now, and it was getting to be hard to ignore the persistent pull of wanderlust. 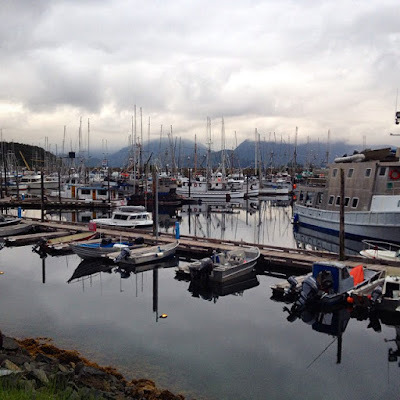 And then I saw it: an overnight trip to Sitka, Alaska on the online job board. I didn't think twice, I just grabbed it. 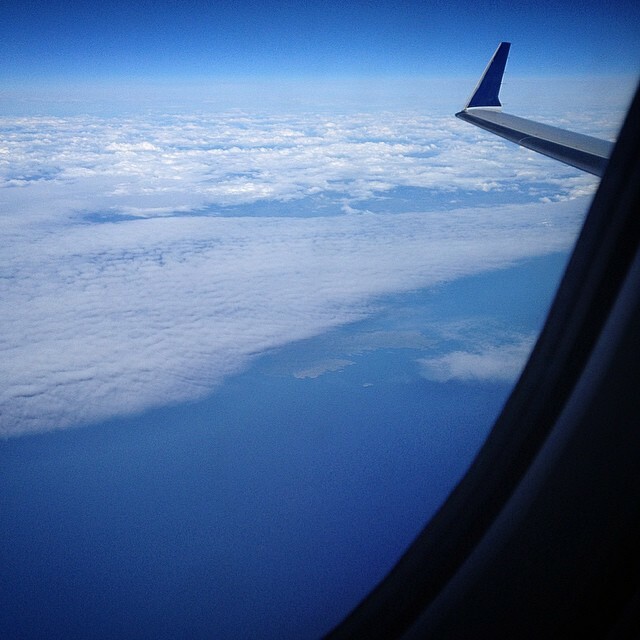 I was going to Alaska for the first time ever. 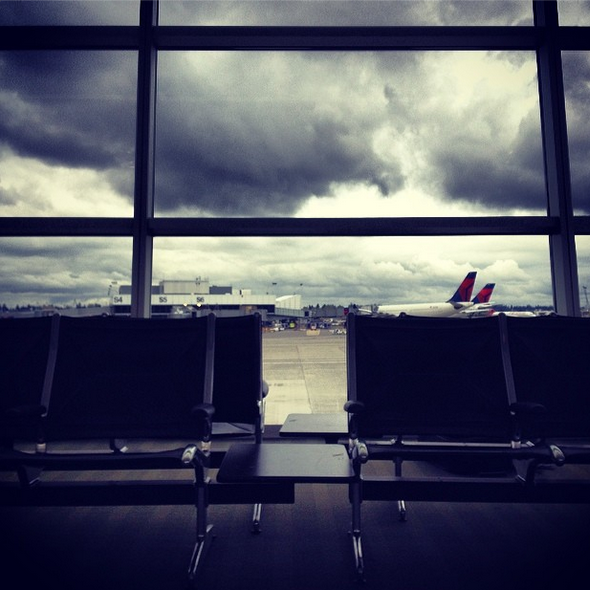 Tuesday afternoon I found myself heading to the airport with my boyfriend. He hadn't come with me on a trip in over a year. Conflicting work schedules and a few difficult non-revving experiences had prevented him from coming to work with me for some time. But when I told him about Alaska, he was immediately on board. I got on the aircraft and got set up. The pilots announced that it was a beautiful afternoon for flying. I had no doubt that it would be. 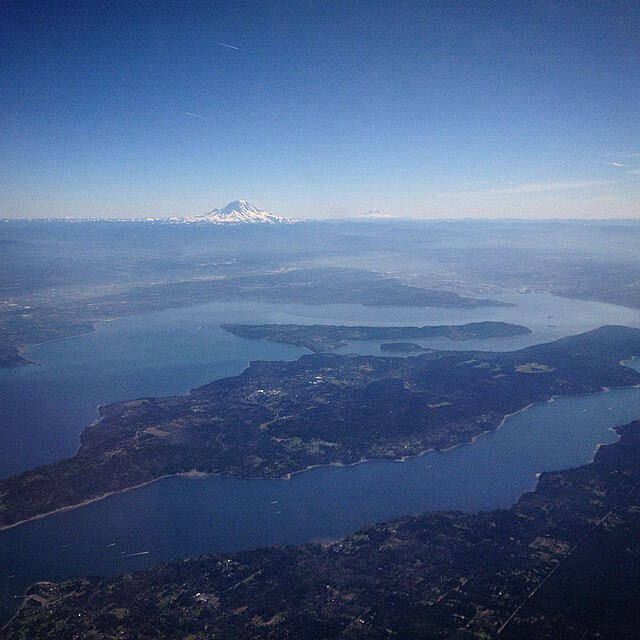 Before long we were off, soaring up and over beautiful Seattle. The other flight attendant and I breezed through our service announcements and rolled out the beverage cart. As we chatted with passengers, we realized something: almost everyone on board was heading to Alaska for the very first time. There are times while flying when you can feel the excitement radiating throughout the cabin: a planeful of families flying down to Long Beach for a weekend for of Disneyland memories, a crowd full of Seahawks fans heading to cheer on their team at a playoff game, or thirty strangers united by a longing for wild adventure in the beautiful Alaskan frontier. There was a woman heading north for a job as an executive chef on a boat, a pair of sons taking their dad fishing for Father's Day and a young woman clinging to a box of delicate research instruments. "I've been selected to do research with my professor this summer," the Southern Californian beamed proudly. These are the stories I love, and why I love to fly. There are so many reasons that people fly, and it's so important to listen when they share snippets of their lives with us. After two hours, we were nearing our destination. I sat in the empty last row, gaping at the raw Alaskan wilderness. We had flown up the coast, where the shockingly blue glacial waters met the heavily forested mainland. After finishing our prelanding duties, the other flight attendant and I took our jumpseats. I leaned over, staring our the tiny window to my right. Rocky islands dotted the sea below us as we approached Baranof Island. Dipping low, we almost skimmed the surface of the water. Right before I took my brace position, I saw the smooth back of a whale breaching the icy cold waters of the bay. Perfection. We landed smoothly and taxied into the tiny island airport. The mountains were sharp against the sky; the grey skies still bright at seven in the evening. Deplaning, our passengers were just as in awe as the flight crew. They exited the plane, and blinking, stepped onto Alaskan soil. Our little crew of four exited last, taking in the scenery. Once in the hotel van, we were whisked off into the little town, passing weatherworn buildings and brave little boats in the bay. We quickly shed our uniforms and crew bags and met up with my boyfriend in the lobby of the hotel. Seafood and local microbrews were the general consensus for dinner. 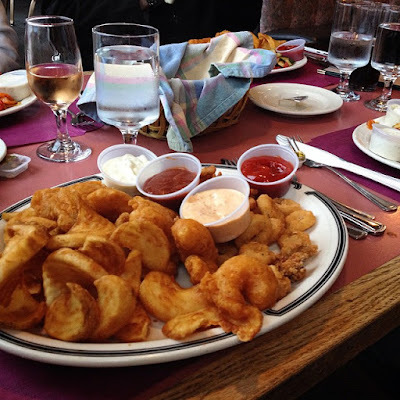 We wandered to Van Winkle and Sons Restaurant, and were quickly seated at the best table in the house. Our table overlooked the bay and the mountains. A round of Baranof Brewing ales were quickly procured before diving headfirst into the seafood menu. An hour later we were stuffed. We decided to wander around the little town, enjoying every moment of one of the longest days of the year. The marina was silent at 9:30 at night; the water smooth and still as glass. We wondered what this town was like two centuries ago, when it was the Russian settlement known as New Archangel. We closed our eyes and felt two hundred bitterly harsh winters; and two hundred gentle summers. Sitka felt wild, untamed. I realized that I was just a guest here on this planet; a visitor to this wild landscape. The earth doesn't owe us a thing, I thought. And yet we act like it's ours for the taking. The sun finally began to set and the sky opened up, revealing reds and oranges unlike anything I had ever seen. It was ten o'clock at night, and the sun was due to return in just five and a half hours. I slept with the windows open, feeling the cool breezes of the bay. Morning came too soon, and before I knew it, we were back on the plane, taking off, leaving little Sitka behind. I'll be back soon, Alaska. You have a little piece of my heart now. 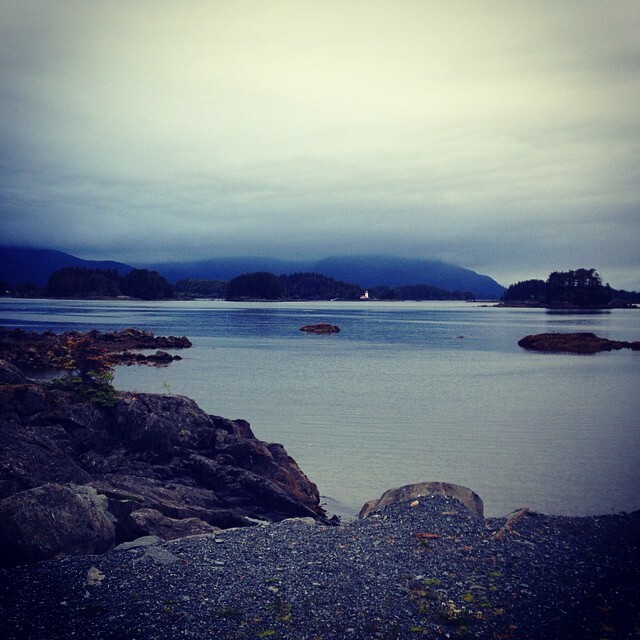 I love Sitka! Glad you got to go. Wonderful post, thank you.